Zapier moves information between your web apps and ConvergeHub automatically, so you can focus on your most important work. 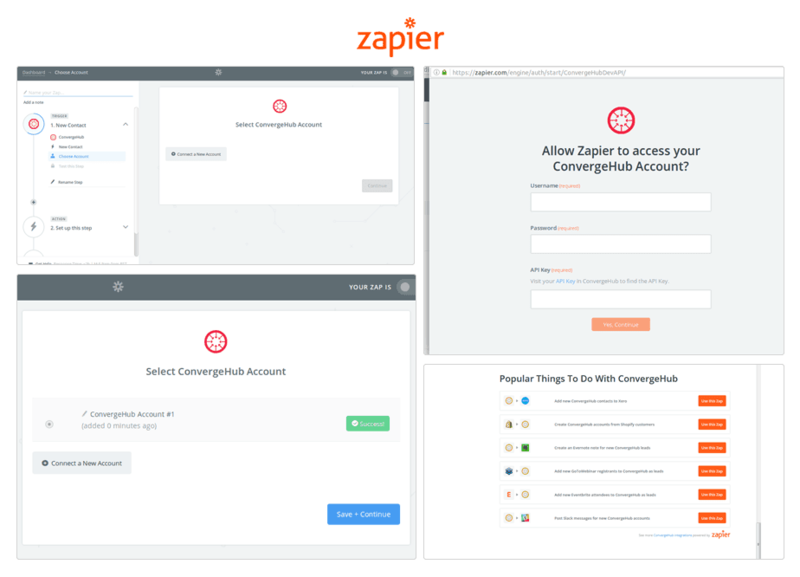 Using Zapier with ConvergeHub will help ConvergeHub users create integration between apps without the need for development efforts, thereby eliminating time-consuming and tedious tasks to facilitate the flow of information. With Zapier integration, ConvergeHub CRM is now instantly connected to more than 750+ apps that you use in the workplace. 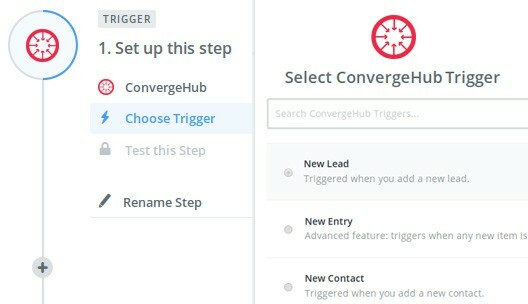 Users of ConvergeHub CRM can now use Zapier Triggers and Actions to hone their sales process, work more efficiently, find customers, and close deals. 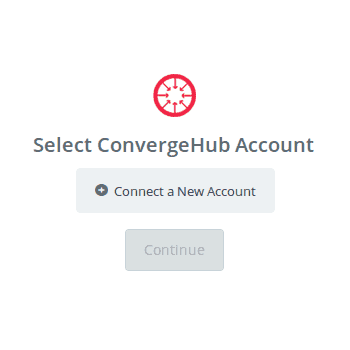 Integrate ConvergeHub CRM with other products that you never knew were available to you. Zapier directly connects 750+ Apps into ConvergeHub CRM. Automate all your mundane and repetitive tasks with Zaps, so that you can save your work hours focusing on growing your business. Whenever the trigger event happens, Zapier will automatically make the action event happen for you, while you solve more important problems. 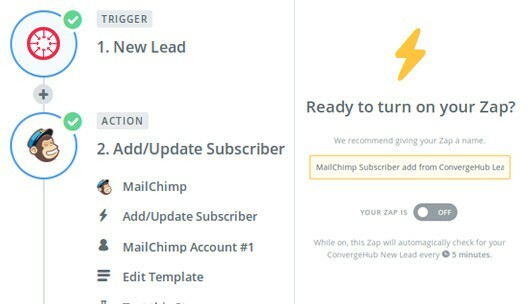 Create your own triggers in the Zap, as you customize your workflow with ConvergeHub and any other app. Login into Zapier account and then pick a Trigger that sets your workflow (Zap) into motion. When setting the Zap, primarily choose ConvergeHub and then chose the app with which you want to create the workflow. 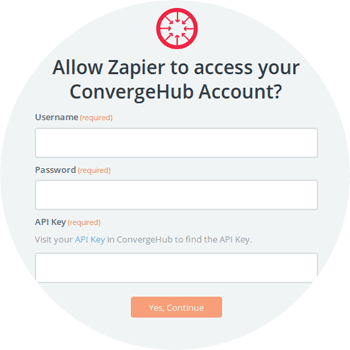 While creating the Zap, map fields between ConvergeHub and your other required app by simply click-and-choose. The process is fairly simple. 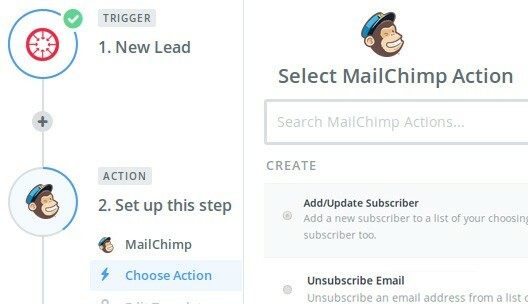 You just need to Point, Click, Automate, and go from idea to workflow in few moments.